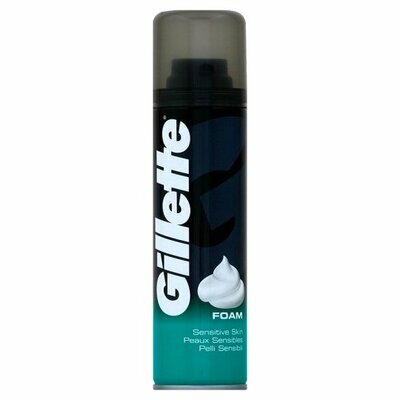 Suitable for all skin types, this industry leading Gillette Shave Foam Sensitive 200ml x 6 is the ideal option for busy and high-traffic residential environments such as care homes. Distributing in a thick and creamy lathers, the formula has non-irritating and hypoallergenic mix with added lubricants and glycerine to keep skin nourished. Spreading evenly, it softens sharp hairs and encourages the smooth glide of your razor for the closest and most effective shave in every location. This large multi pack of shave foam can be easily stored away until needed or distributed throughout your residents to ensure everyone has the tool they need for the perfect shave. Don't forget to stock up on the Gillette Blue Disposable Fixed Razor 5pk while you're here.